Genesis Economic Development - ﻿What We Do? The benefits of living in a Genesis Mini Shires may seem obvious to many. Keep your hard-earned money for yourself to enjoy! Mini Homes were frequently underestimated and underappreciated. The average Tiny/Mini Home costs less than 10 percent of an average-sized home, according to TheTinyLife.com. The lower costs are just one reason most tiny & mini home dwellers own their homes. · Young Adults - just starting out in life; not wanting to be tied down to lengthy and expensive mortgage payments. · Empty-nesters - Having no desire for the extra expense and upkeep of a traditional sized home. · Retirees – Living on a limited income, and wanting to experience financial freedom. · Less stress and more freedom to enjoy doing the things in life that bring you true happiness. While living in a Genesis Mini Shire may seem like a sacrifice to some, for those who choose “mini-home life”, the rewards are often enormous. *Target Markets: Owners with tracks of land can populate their property very quickly and affordably by combining Genesis Mini Shires and utilizing Airbnb; which can generate an immediate steady & insured income stream. 1. Insurance: 1 million U.S. Dollar Insurance policy on reducing renter liability. 2. Payment: Rental units are paid in advance, prior to use. 3. Bookkeeping: Provided by Airbnb. 4. Owner Controls Days & Times: Owner has full on-line control of designated times & availability; Renter is able to select desired times; with an online availability schedule a renter can immediately see what days are available for rent. 5. Extra Income: From saving for home repairs to taking a dream trip, use the extra income to fund your passions. 6. Support: Get tips and tools and connect with hosts like you from around the world. 7. Advertising: Provided by Airbnb; nationally, as well as internationally, thus, providing a steady flow of clients. 8. Flexibility: As the host, you set your price, based on market conditions. Also, you pick the times are most convenient for you and your family; and the frequency. In other words, you are in total control of your Airbnb rental units. 1. 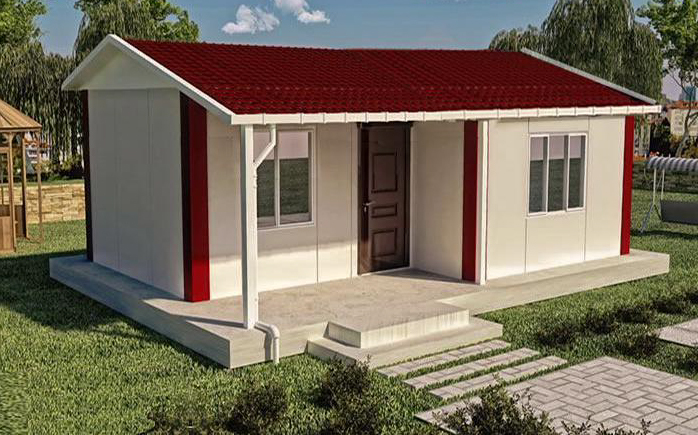 Does the home come with a floor, or is it setup on a concrete slab, or only floor tiles come with the home? These units come with floor tiles, that are installed on top of a concrete slab. 2. How is the Potable, Grey and Black water distributed thought out the home? The location of the gray water pipes from the home drain out to the existing underground pipes, as well as, sewage treatment according to the local codes. Your local contractor should be able to help you with this. 3. What is the composite that the exterior wall is made of, and how thick is it? Exterior walls are made up of EPS sandwich panels, two ends are 0.3mm or 1/64 inch thick colored steel sheets; the Center section is fire proof foam. Total 100 mm or 3.93 inches thick. EPS sandwich wall panels and its manufacturing process is one the most advanced inventions in the factory automation equipment. EPS and steel into a whole unit, thus changing the way of the EPS plate is assembled at the site. EPS meets the requirements of the building codes: thermal insulation, sound insulation & fire protection achieve an efficient, high end, reliable and safe wall component. These sophisticated products are in use in Europe through a wide range of applications. 4. Is there a ceiling inside the house, and, if so, how far is it from the roof? How much attic space is available, if any? Yes, there is an affordable Gypsum board ceiling; it is around 700 mm or 27.5 inches from roof. There is no attic space available. 5. What are the finishes for the interior wall and the exterior walls that are included in your quote? As for interior and exterior walls, home buyer can paint or wallpaper walls interiors and brick or stone exteriors. According to one’s own taste. 6. How many electrical outlets and light fixtures come with each home? We will provide electrical system drawings, wires are generally passed via the roof. Will meet all building codes according to your township. 7. 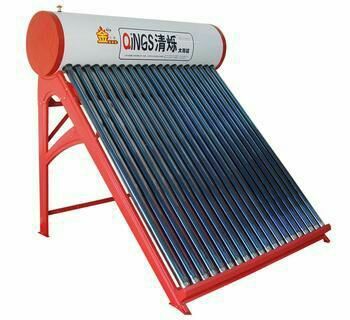 Can you send us specs and prices on the solar water heater? Around 20 heat pipes, water storage capacity 200 L or 52.83 Gallons, water temperature is around 80℃ or 176 degrees F. Price is based on quantity purchased. 8. Heating and air conditioning? Do you recommend a unit for this house based on our temperature in Fayetteville, Arkansas? Typically it’s anywhere from 25 degrees to 100 degrees Fahrenheit. We will recommend the option of HVAC once we know the size of the living space in the Shire. 9. Hookup on Utilities; Water, Electric & Gas. You need to coordinate this according to your cities local codes. 10. Please confirm roof type. Shingles over what material? Double slope roof with shingles. One 40' HC container can load 2 houses; this also includes all amenities listed in our packing list. Please provide destination city, zip code and unloading entrance details for an accurate delivery quote. The homes will be built to follow the guidelines of the specific township building codes. The Buyer will provide a copy of the required codes to Genesis for their or your location to be incorporated into the home design. For any additional questions please call us.